Netflix’s rapid advance into the motion picture industry has been nothing short of impressive. “Ozark,” “Orange is the New Black,” and “Narcos” all impress almost beyond objection. But not all of Netlfix’s original productions can be lauded. Both the title and apocalyptic plot of “How It Ends” are perfect descriptions for the rubble that is this movie. Unlike actual rubble, however, “How It Ends” never has a firm beginning. All literature, from “Don Quixote” to “the Titanic” features the general progression from a hook, followed by rising action, the climax, falling action and finally a resolution. How It Begins would be a more fitting title – the movie never really reaches climax. When reviewing a movie, one tends to include a timestamp next to his notes. Looking back, the first scene that gets even remotely close to a climax does not occur until ninety minutes into the film. Eighty percent of the movie occurs before the climax. Even then, it is one that the viewer has been expecting since the very beginning. There are no surprises in the film, so the viewing experience is entirely without suspense. Netflix knew the plot contained little to keep watchers interested, so they injected numerous jump scares, chase scenes and shootouts to distract from the shallow nature of the film. No amount of romance or conflict is enough to erase the feeling that the film was conceived for literally no reason other than to add half of a percent of ‘originality’ to Netflix’s library. Or perhaps it was meant to generate money – Cadillac certainly spent a fair amount of money advertising in this film. No Cadillac, however new, however upgraded, should be able to make it across the United States while riddled with bullet holes and a leaking radiator, all on just three tanks of fuel. The numerous fuel stops throughout “How It Ends” are another testament to the peculiarity of the film’s writing. Most daily necessities are not shown in movies unless they help develop the plot in one way or another. Characters must use the bathroom, but the viewers rarely see it happening. Cars need gas. “The Book of Eli”, the dystopian superior to “How It Ends” in every aspect, did not feature either, but it still tells a fluid, complete story with definitive progression. It is as if the writers of “How It Ends” recognized the emptiness of the plot and attempted to complete it with fillers that do nothing but waste the viewer’s time. Either that or Cadillac wanted to show that their cars are more efficient than one would expect. Unfortunately, that is all “How It Ends” is good for–killing time. This film is so shallow that specific characters, place names and plot details are not memorable enough to warrant a mention. All that the viewer will take away from this movie is that “The Book of Eli” is more of a masterpiece than he recalls, and that he should probably go buy a Cadillac immediately. Netflix is trying to make its original material the selling point for those considering buying the service. Ideally, they want those who don’t purchase the service to feel left out of something popular and exciting. 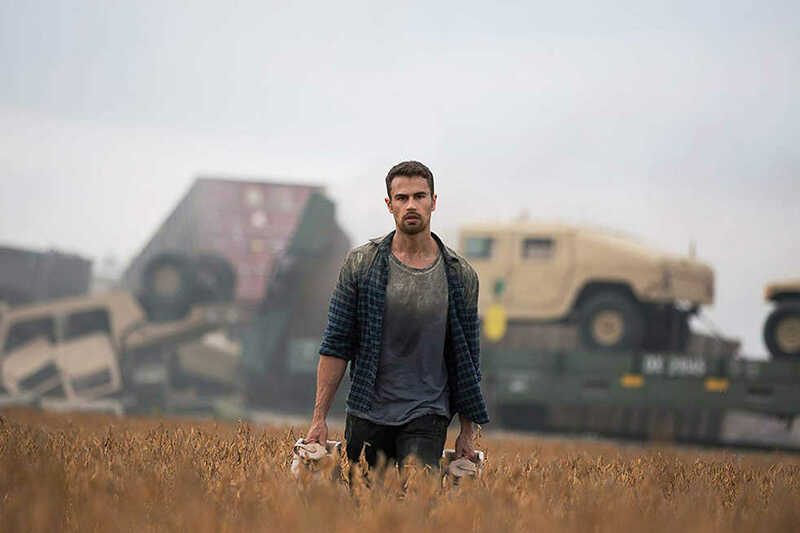 In the case of ‘How It Ends,’ Netflix’s approach to achieving this seems to be to create an appealing trailer which makes prospective customers want to see the film. The trailer actually does its job here; on its own, it’s an excellent if brief bit of filmmaking. The trouble is that the trailer is the best part about the film. The movie does nothing to live up to the promises made by its trailer, leaving its viewer disappointed. This would not be as much of a catastrophe if “How It Ends” were a traditional movie. Films do well at the box office while disappointing viewers all the time. In this case, however, Netflix needs the film to generate excitement to give would-be customers a good reason to pay for Netflix. In the eyes of the executives at Netflix, this film is more of an advertisement than a consumer product. Their biggest problem with “How It Ends,” then, is that it is even worse as an advertisement than it is as a movie.